Picassiette is a style of mosaic that involves pieces of broken china and other beautiful found objects. Join us for this 4 session class to make your own piece with an eclectic array of materials. The focus will be on broken dishes which will be provided, but you are welcome to bring your own other items to incorporate in your design. Students will learn the skills and techniques needed to break and nip china effectively to use in a mosaic, as well as the proper adhesives for interior and exterior installations. Over the course of several Wednesdays, we will each create our own design, mosaic a piece and then learn grouting techniques. 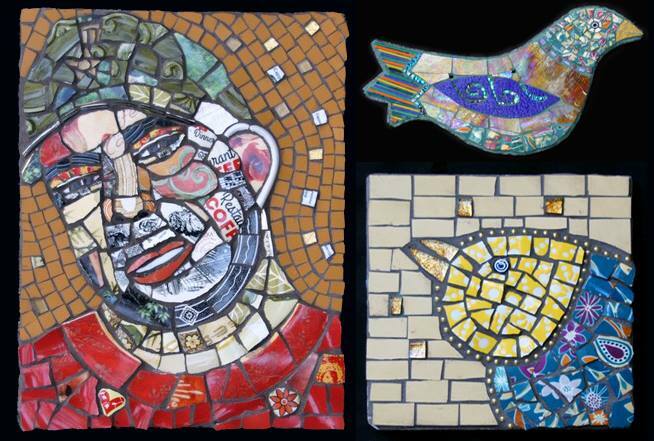 Substrates for your mosaic piece will be provided, from terra cotta pots to additional materials. You can count on walking out of this workshop with new skills and a unique project for your home or garden.